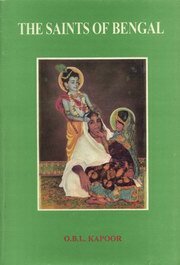 India Books - Discover India Books At Vedic Books - Books From India Direct! Our books on India will open your heart and eyes to the world that is, was and will be India. India is a miracle in process - so many cultures, traditions and ways of life running simultaneously. It has a legacy of spirituality that is on every corner, it has generations of great saints, teachers, poets and prophets. Discover India at Vedic Books. This book is a study of the different varieties of musical instruments delineated in the early Indian plastic art. It discusses in detail each item of the musical instruments under the classification. The book describes four hundred and six coins comprising well known types of all important rulers as well as a number of rare specimens. The catalogue is in three parts-first part deals with coins of pre-Muhammad an dynasties, second with those of Pathan kings and the third with the coins of Mughal emperors.